(NaturalNews) Eliminating foods and food combinations that trigger IBS (irritable bowel syndrome) symptoms is the first step toward coping with IBS. Eventually, coping can lead to healing. However, relying on conventional, mainstream medicine will put you into a life of coping with the side effects and dependency of their prescribed pharmaceutical meds. It's also important to eliminate Crohn's disease, Candida yeast overgrowth, or IBD (inflammatory bowel disorder) as a source of your symptoms with unusual and sporadic bowel movements, bloating, digestive discomfort, and abdominal pain. IBS is considered a syndrome, not a disease. It's a brain-gut dysfunction consisting of spastic colon reactions from abnormal neurological impulses that are easily aggravated by certain foods and food combinations as well as stress. Search for a holistic MD, holistic chiropractor, or naturopath that understands gut and IBS problems. If accessible in your area, Chinese medicine offers solutions with acupuncture and herbs. Ayurveda also has answers for IBS and other gastrointestinal issues. But EFT (emotional freedom techniques) tapping has also helped many. This is because IBS sufferers have traumatized nervous systems that respond unusually with certain triggers that don't affect most. Apparently, the gut's second brain connection is affected by the brain first instead of the other way around. IBS sufferers have short circuited gastrocolic reactions that trigger colon spasms or contractions only moments after ingesting. The food doesn't need to enter the lower gastrointestinal (GI) tract before registering an abnormal colon response of diarrhea or constipation. Knowing this can help identify IBS triggers more easily. 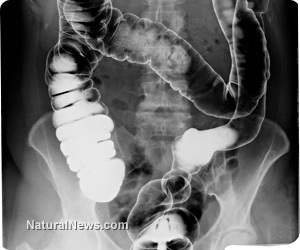 That's why soluble food fibers, which dissolve in water and form a gel, establish a foundation for IBS sufferers. Their gels sooth and pack the colon with a cushion to minimize spasms of diarrhea and help smooth expulsion for constipation issues. Non-soluble fiber foods have to play a secondary, minor role. Complete lists of soluble fiber and insoluble fiber foods are linked to in the sources section below this article. (1) Eat fruit alone, away from food, either an hour before or two hours after. Make sure it's a soluble fiber fruit, such as bananas, peeled apples, mangoes, or papayas. Insoluble fiber fruits may be tolerated if eaten after soluble fiber fruits. Insoluble fiber on an empty stomach is problematic for IBS sufferers. (2) The accepted starch and protein combination no-no for everyone can apply on a limited basis for IBS folks. Grains like pasta, bread or rice and potatoes with meat, poultry or fish. People with IBS-D (diarrhea) should try to split those two types up because the enzyme requirement for each is different. (3) If a starch contains soluble fibers, it's usually okay to mix it with some animal or legume proteins. White rice, potatoes, and sweet potatoes are starchy, but they contain soluble fibers that form a gel in the intestines and help inhibit IBS reactions. (4) Soluble fiber veggies should be eaten before an insoluble fiber salad. (5) Many animal foods and heavy fats that are difficult to digest should be completely avoided until one is out of the woods with IBS. Ditto for caffeine and alcohol. (6) Soaking legumes overnight helps remove the complex sugars that can agitate IBS. It also minimizes the beans' cooking time. Whole grain rices (brown rice) can be soaked overnight as well to minimize phytates or phytic acid, which tend to block mineral absorption and perhaps agitate IBS reactions.